UPDATED: Sat., June 16, 2018, 4:02 p.m. 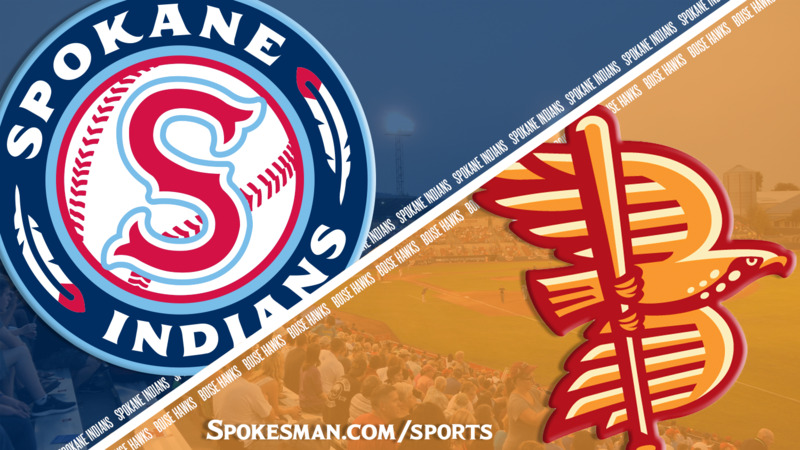 The Spokane Indians face the Boise Hawks in game two of a five-game set at Avista Stadium at 6:30 p.m. The Indians (0-1) are scheduled to send lefty Jake Latz against hard-throwing righty Riley Pint for the Hawks (1-0). Latz, 22, was a fifth round pick of the Texas Rangers in the 2017 MLB Draft. He appeared in two Arizona League games last summer, allowing two earned runs on three hits over 2 2/3 innings with five strikeout and two walks. Hawks starter Pint, 20, was the Colorado Rockies first-round pick, N0. 4 overall, in the 2016 MLB Draft. He made a start for Low-A Asheville earlier this season and allowed five runs (three earned) on two hits, two walks and a wild pitch, recording just one out in the process. Transactions: The Texas Rangers assigned RHP Luis Rosario and LHP Kenny Mendoza to the Indians roster. Rosario was an international free agent signed in 2014 and Mendoza was a 24th round draft pick in 2016. Last night: The Indians fell to the Hawks 7-4 as starter Hans Crouse was scratched with a cut on a finger on his pitching hand. Here’s what happened across the Northwest League and Texas Rangers affiliates. Published: June 16, 2018, 3:06 p.m. Updated: June 16, 2018, 4:02 p.m.